One of the most important things that I learned when I did Karyn's Raw Detox last year was that juice cleansing and fasting is the ultimate way to keep healthy. I have not been truly sick since I did Karyn's cleanse and that's pretty amazing for someone who used to have a perpetual cold and cough during the entire winter and really severe sinus infections. The one time I thought I was sick in 2013, it was actually just mild asthma due to allergies. (Asthma runs in my family.) Anytime I do feel like I'm getting a cold, I eat a bunch of vegetable and take spirulina and/or chlorella, much more effective than chicken noodle soup or cold medicine. Anyway, back to the cleanse! 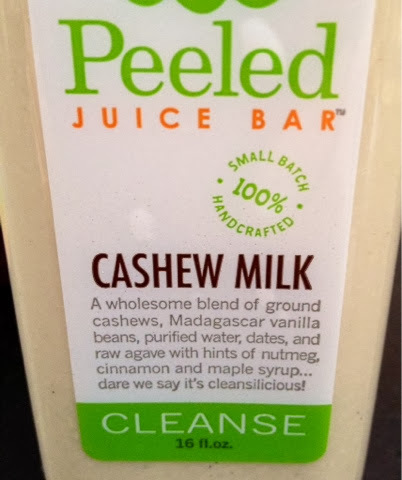 I tried some juice from Peeled a couple weeks ago at the NTC Chicago opening and it inspired me to do their 3-day juice cleanse. The Groupon is only $97, which you can easily spend on veggies alone for juicing. Juice fasting is one of the best ways to get rid of the toxins that your body has built up from processed food, pesticides, alcohol, other chemicals, air pollutants, etc. These toxins reside in digestive system, which you can clean out by taking a break from food. 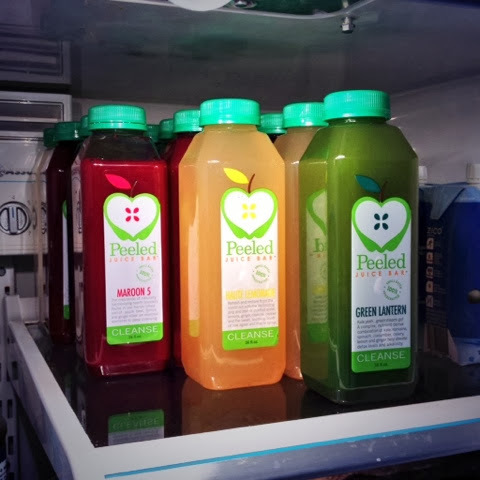 Cold-pressed juice has all of the nutrients of fruits and vegetables but not the fiber. Therefore, minimal digestion is needed to absorb the nutrients, thus giving your intestines, kidneys, and liver a chance to clean out. It's like taking a day off work to organize your life and clean your apartment, your gut needs a day off once in a while too! 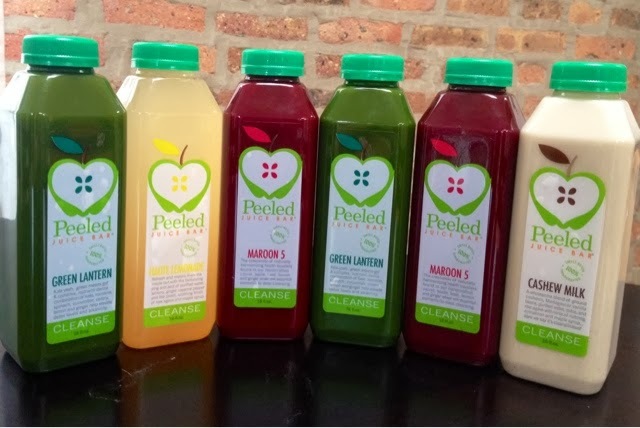 The Peeled juice cleanse is composed of six juices a day for three (or more) days. You take the green and maroon juices twice. The labels of the four different juices are shown below. Green juice is always a great way to start the day, juice cleanse or not. Lemon and cayenne together tastes amazing. I'm going to make this at home more regularly. This is the sweetest of the juices and not my favorite. I think it could go without the apple because, believe it or not, carrot and beet are pretty sweet on their own. This was my favorite juice during the cleanse. Maybe because it's the most filling and felt satisfying at the end of the day. But the maple/cashew blend is really good. I might try to make this one at home too! 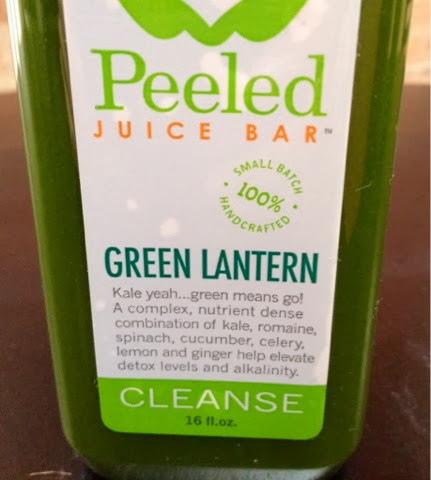 After picking up my 3 days worth of juice at the Lincoln Park location and stocking my fridge, I was ready to start the cleanse! To maximize the effects of the cleanse, you should eat raw vegan and no caffeine or alcohol at least the day before and after the 3-day cleanse. Eating healthy the 3 days before and after is also good. This will also make the cleanse easier and you won't be as hungry. Juice fasting is not easy. You don't feel famished or that hungry during the cleanse, but you just keep thinking about solid food. I don't have enough energy to workout during juicing. I did try Bikram yoga during this time but I had to lay down a lot. Some people react to the cleanse with unlimited energy. I feel that way after the cleanse. Other people can get a cold during the cleanse because your body is releasing so many toxins. The more often you cleanse, the easier it gets. Your first one might be really rough, but trust me that it gets better! No matter how the cleanse goes, you will feel more energetic and healthy after, and filling, greasy food won't sound as good anymore. The day before the cleanse I ate mostly liquids to get ready. I had a Vega smoothie for breakfast, avocado soup for lunch, another smoothie for dinner, and then some popcorn as a snack (not recommend but I caved in). When breaking the cleanse after the 3 days, be sure to go slow and not shock your system and ruin the cleanse. Start with a smoothie, veggie soup for lunch is great, and then something easy to digest for dinner. Great example is veggie stir fry with white rice. If you eat dairy and meat, wait a couple of days to reintroduce those into your diet. You might not even want to! One last note, to make a juice fast truly a cleanse, you should strongly consider doing a colonic or enema. This will completely clean out your colon to allow for maximum toxin release. I've heard some say that it's not even worth it to do a juice cleanse without an enema because you won't clean out anything. I talk more about colonics and enemas in this post. Trust me, it's not as scary or gross as it sounds! What is your favorite fruit/veggie juice? Disclaimer: I am not a physician or registered dietician and all recommendations are from my own experience. Please consult your doctor before you make any major health or lifestyle changes. *This post is not sponsored. 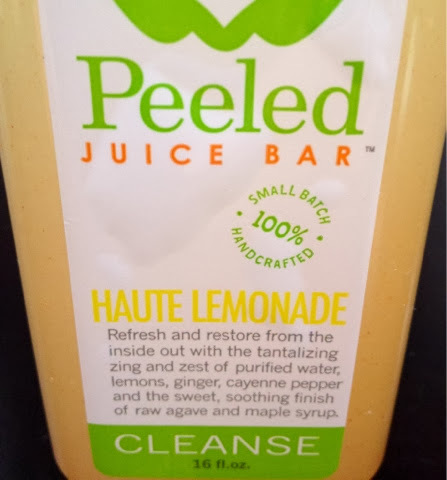 I bought and reviewed the Peeled Juice Cleanse on my own. I've been wanting to do a cleanse for a long time- I'll have to give this Groupon a try! 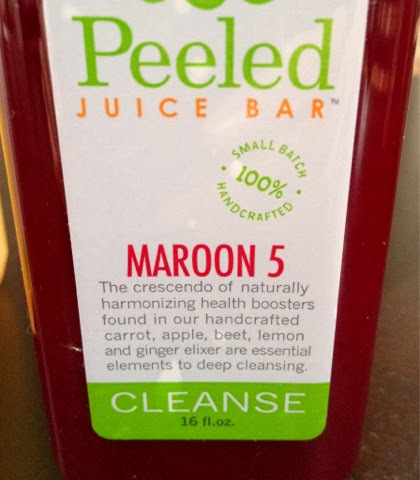 I guess I don't really understand the concept of cleanses because isn't that what the liver is for? I mean unless you have some sort of liver disease, isn't a healthy liver supposed to "flush out the toxins"? What specific toxins are you referring to? Thanks! There actually isn't any proven medical research on the benefits of juice cleansing or fasting but the theory is that our modern diet of processed foods and increased pollution levels are too much for the liver to handle, thus these man-made chemicals build up in your gut, mainly in the form of impacted feces. When your intestines/liver/kidneys are not working hard to process food while fasting, they can work on processing and excreting the build up of bad food. In addition, it is estimated that even healthy-eating, normal weight people carry about 5-10 pounds of feces in their colon, an enema/colonic combined with fasting can get rid of this. Autopsies of obese people have revealed as much as 60 pounds of feces. Poop is what your body does not want so it is basically toxic sitting in your colon. I hope that more medical research is done on this topic in the future because cleansing has done wonders for my immune system and helped plenty of others. As always, consult your physician before making any major lifestyle changes.